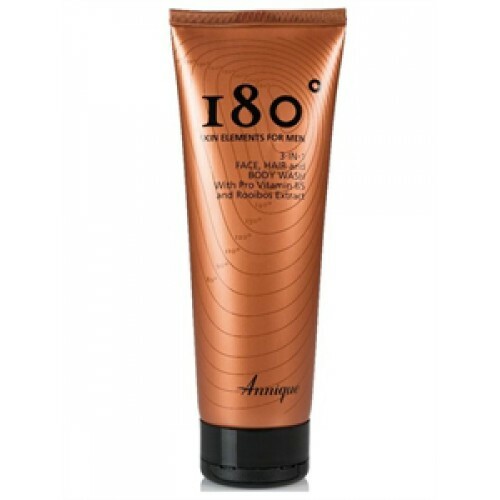 250ml: An effective rich, foamy, multi-tasking formula to gently cleanse face, body and hair without stripping it of moisture instead attracting moisture. What every man, on the go, needs in his toiletry bag. It contains: soothing Annique Rooibos Extract which is a powerful antioxidant. Also Pro Vitamin B5 which moisturises keeping skin soft, smooth and healthy. A MUST HAVE FOR SPORTS ENTHUSIASTS AND THOSE MEN WITH BUSHY BEARDS AND GLORIOUS MOUSTACHES. 100ml: After-shave, which is masculine, evoking the spirit of freedom where everywhere is your terri..